Can Insurance Companies Demand to See My Medical Records? As your injury claim goes forward, a time will come when the adjuster requests copies of documentation regarding your injuries and treatment. The company may also require you to undergo an Independent Medical Exam (IME). Knowing how to deal with these requests will help you navigate some potentially difficult waters. 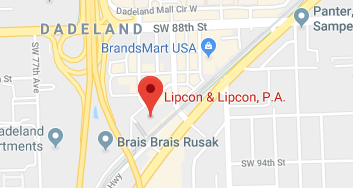 This is where a Miami car accident attorney comes in. While you most likely already sent in complete copies of your medical records, the adjuster may determine something is missing. X-rays or lab tests pertinent to the case may not be in your normal records, for example. The adjuster may request any records of pre-existing injuries. You will need to determine if the request is warranted and appropriate. If you choose to submit the records, inform the adjuster you will send them, but require reimbursement for the costs and get confirmation in writing of this agreement. Do not have the records sent directly to the adjuster. Have them sent to yourself and your car accident lawyer for review so you can remove any information not pertinent to the claim. Be sure to never sign any agreement that includes verbiage allowing the adjuster to directly request your records. Adjusters may sometimes scan your extraneous medical information in hopes of finding something to use against you during proceedings. If the request does not seem appropriate, make the adjuster tell you what the records are needed for. If their answer remains unconvincing, refuse to send them on grounds of protecting yourself from intrusion into areas not pertinent to the case. If they persist, remind them that issues like this can be dealt with in court. Remain firm, as protecting your privacy is not grounds for suspicion. Medical records may render some conditions or injuries ambiguous to an outside observer. If your records do not specify precisely how the accident further aggravated an already existing injury, this could be grounds for dismissing the claim. The required time for recovery may not be in the records, or a conversation between you and the doctor regarding long-term effects might have been omitted. If there is disagreement on an injury’s severity or the recovery length or requirements, negotiations may resolve the problem, but you should be ready to undergo an IME. As the insurance company bears the costs for this, adjusters rarely ask for them, but sometimes the costs of your medical claim force them to do so. If the injury occurred in Montana, a Montana personal injury lawyer may be able to help. You need to understand that the insurance company pays the “independent” doctor for a reason. The doctor will have a vested interest in finding nothing wrong with the claimant. The good news lies in the fact that you can refuse to undergo the IME unless your automobile insurance requires it. If asked to have an IME done, remind the adjuster this should be dealt with in court later and refuse on grounds of discomfort with an unknown doctor examining and making judgments on your condition. It’s in your best interest not to accept this request directly from an adjuster without discussing the matter with legal counsel. Contact a legal representative for advice on further action.